Half-off Library Fines on Cyber Monday! For several years now, online stores have reported the Monday after Thanksgiving Day is their busiest. It is Cyber Monday and we have come to expect the big annual savings we find for gift items, and without standing in the long lines on Black Friday. 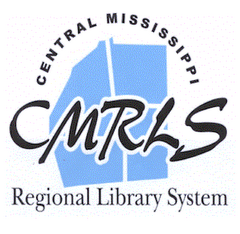 Central Mississippi Regional Library System libraries are offering big savings for Cyber Monday, also. Visit any of the 20 CMRLS library branches in Rankin, Scott, Simpson, or Smith Counties on Monday, November 27, and all fines are 50% off. Yes, half off! "Because Cyber Monday has become a huge hit among our patrons, CMRLS and its Board of Trustees are in full support of it!" said CMRLS Director Mara Polk. "We invite all of our patrons to take advantage of 50% savings, however, it will not apply to collection fees. Further, we invite our patrons to check out our newest services and revisit our traditional ones!" Come in to any CMRLS library during regular hours on Monday, November 27, to take advantage of half off fines. Your local library accepts cash or check. However, it will be possible to pay your fines online by debit or credit card. First, you must visit your library to have staff manually apply the 50% savings to your account and then you may use a library computer or your personal device to finish the transaction. To find business hours for any CMRLS library on Monday, November 27, visit http://cmrls.lib.ms.us/cmrlsbranches or call your local library. Happy holidays and good savings to you!